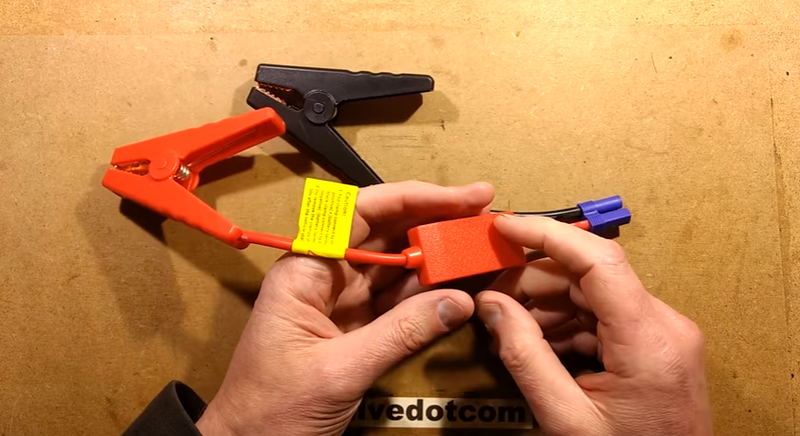 Inside the Red Slug Box on Vehicular Jump-Start Cables « Adafruit Industries – Makers, hackers, artists, designers and engineers! Big Clive bought a $2 jump-start cable on ebay to investigate the red slug box that these ship with. 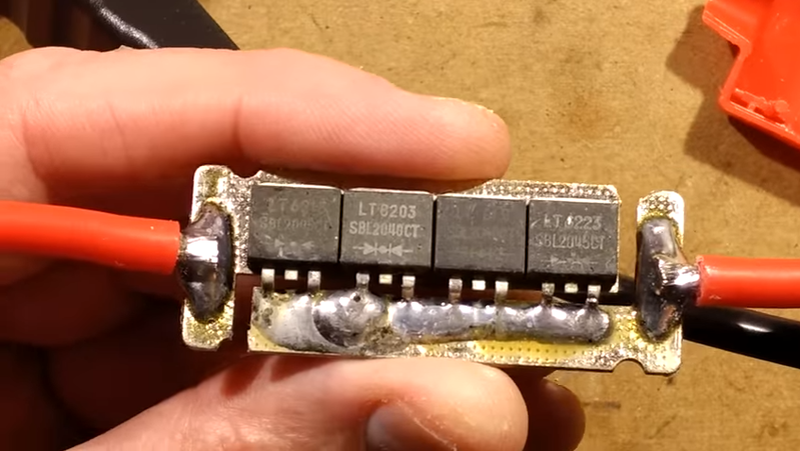 Those are Vishay Schottky rectifier diodes, for which Big Clive also conducts a walkthrough for how they operate in general and for the application of jump-starting vehicles.